Folding Carry-Along Zippered Blanket / Bag Only $3.99 Plus FREE Shipping! You are here: Home / Great Deals / Folding Carry-Along Zippered Blanket / Bag Only $3.99 Plus FREE Shipping! This is a perfect item to have stashed in the trunk of your car or in a piece of luggage! The Folding Carry-Along Zippered Blanket / Bag for Only $3.99 Plus FREE Shipping is so handy you are going to want more than one! 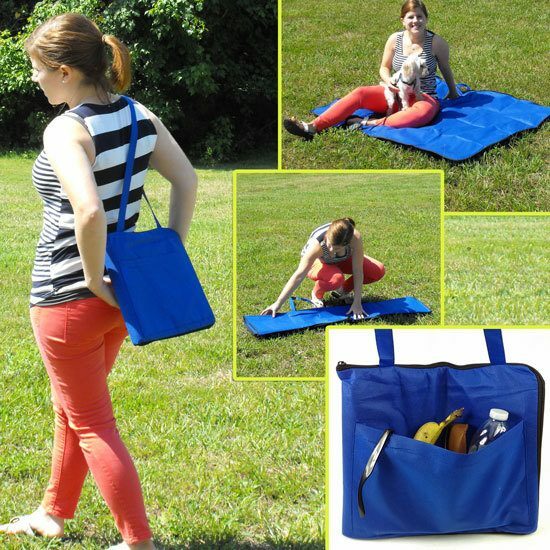 Perfect when you need an impromptu shopping bag, but oh so handy when you visit the beach, park or lake!